Blue Daisy Designs: Some Christmas colouring! These are adorable and super hilarious, Tracy! 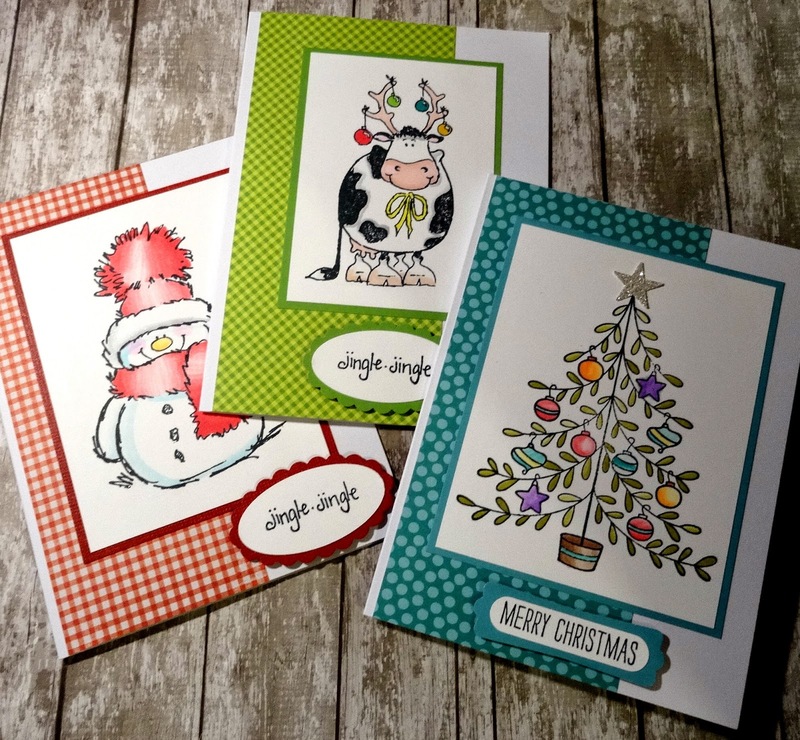 I love how you used the patterned paper and kept each card in one color style. What a great set – the recipients will surely love them!